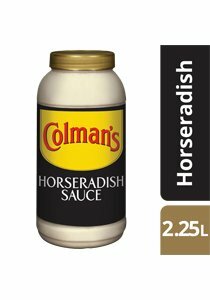 Condiment: Horseradish sauce. Excellent with all meals and in sandwiches. Weight - 2 kg. Weight per serving/portion - 15 g.
Refrigerate after opening and use within 2 months. Always use a clean spoon.